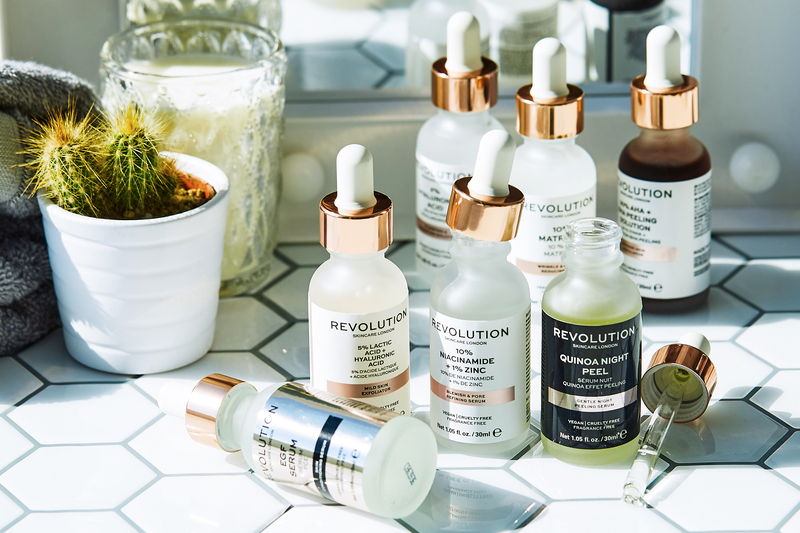 Revolution Skincare: Which Serum Is Right For Me? 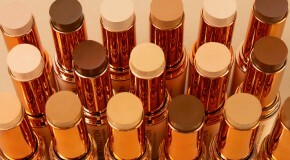 If you’re truly beauty obsessed then you’ve definitely heard of Revolution – the brand famous for bringing us dupes and subs of the best makeup products, without the sky-high price tag. 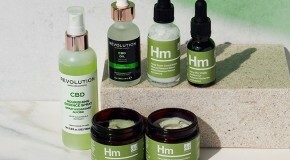 Last year, they expanded their range into skincare with a line-up of super-powered serums, including buzzwords like niacinamide and matrixyl and trending ingredients like CBD and quinoa. It’s tempting to go all-out and buy the lot (since they’re so affordable), but 14 serums later and things can start to get confusing… When should you use it? How do you use it? Not to mention, will it work for your skintype? Fortunately for you, we’ve done the work. 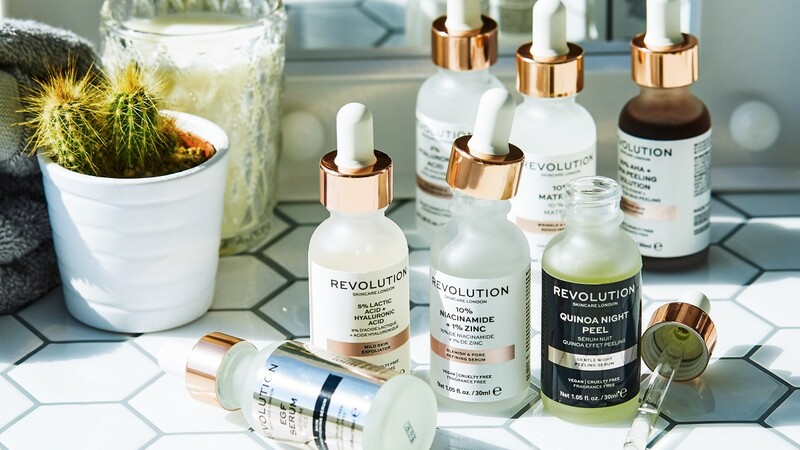 Diagnose your skin type here then scroll down for our guide on how to use Revolution Skincare’s serums. 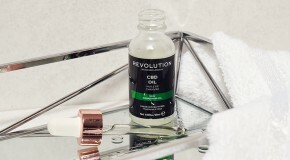 Since it’s rich in skin-nourishing lipids, CBD is an ideal ingredient to add into your skincare routine if you suffer from dry, rough, flaky skin. Used consistently, it will soothe inflammation and sensitivity (even in severe dry skin conditions like psoriasis and eczema), reducing itching, rough texture, and tightness. 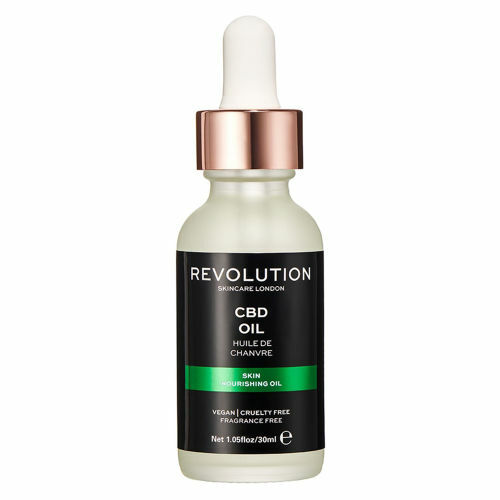 What’s more, Revolution Skincare’s CBD Oil also contains a blend of additional hydrating heroes – sweet almond, rapeseed, and coconut oils. Niacinamide (also known as vitamin B3) regulates sebum production, so it controls oils levels in the skin and prevents oil from congesting (which leads to blackheads and breakouts). It also works to strengthen the skin’s moisture barrier, which reduces water loss, prevents dehydration, and stops skin from overproducing excess oil. 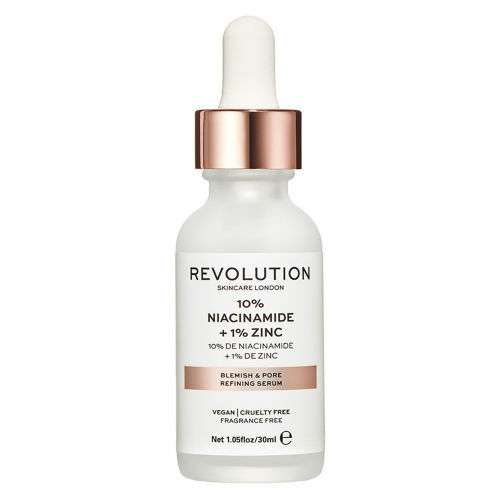 If you have oily skin, chances are you also experience a lot of breakouts – which is why in addition to niacinamide, Revolution Skincare’s Blemish and Pore Refining Serum is boosted with zinc, to heal blemishes. 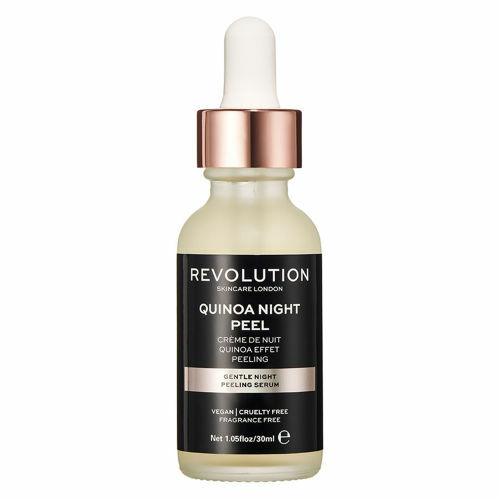 Using quinoa husk extract, Revolution Skincare’s Gentle Quinoa Night Peel Serum acts like a gentle chemical peel to brighten skin. It works by boosting cell renewal and breaking down the dead skin cells that clog pores and cause skin to appear dull and grey. In addition, it’s also rich in riboflavins, which smooth, soften, and plump skin to improve its overall finish and texture. Hyaluronic literally acts like a magnet for moisture – each molecule can hold up to 1000 times its weight in water. As well as drawing moisture into the skin, hyaluronic acid works to strengthen the skin’s surface barrier so that moisture can’t escape. 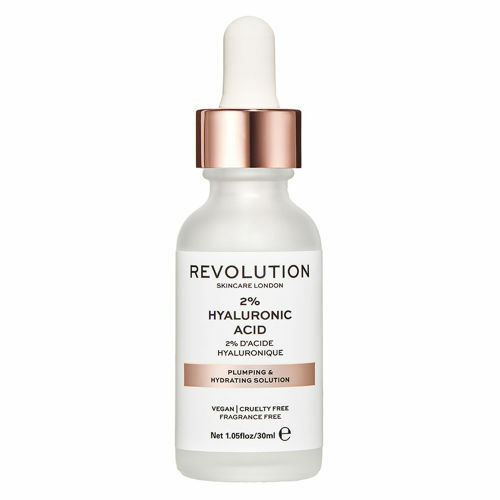 Revolution Skincare’s Plumping and Hydrating Serum – 2% Hyaluronic Acid is best used on damp skin after cleansing and immediately before moisturising. Glycolic and salicylic acids may be the buzzwords of the skincare world, but it can be easy to overdo it when it comes to chemical exfoliation – especially if you have easily irritated and blemish-prone skin. Lactic acid is a gentler alternative to glycolic which works in the same way – sloughing away the dead skin that clogs pores and leads to breakouts – minus the potential irritation. Even better, Revolution Skincare’s Mild Skin Exfoliator sees lactic acid balanced out with hyaluronic acid, for additional hydration benefits. The red marks left behind from acne are often hard to remove as they effect multiple layers of skin. With each layer that is removed, the mark will fade – and the best way to do this is to use a chemical exfoliant. AHAs and BHAs are both chemical exfoliants, although they work in different ways. AHAs target the surface of the skin (removing dead skin cells that clog pores) whereas BHAs have smaller molecules so can penetrate deeper (removing dead skin and excess oil from within the pores). 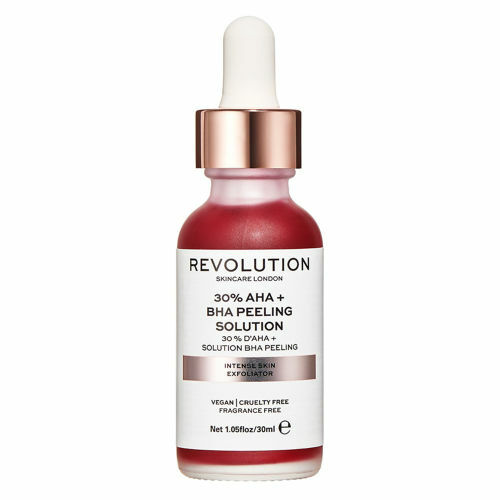 Revolution Skincare’s Intense Skin Exfoliator 30% AHA + BHA Peeling Solution contains a powerful blend of both. Matrixyl is a powerful peptide which works by stimulating collagen production (collagen plumps up the skin, which smooths out and reduces the appearance of lines and wrinkles). It’s especially effective because unlike most peptides, it continues to work long after application, so you’ll really notice the results. If you’re experiencing loose skin or lines, smooth on Revolution Skincare’s Wrinkle and Fine Line Reducing Serum – 10% Matrixyl, day and night.